John Lennon's only significant new contribution to the Let It Be album (his Across The Universe had been recorded nearly a year previously), Dig A Pony was the first song to be recorded during the Apple Studios sessions in late January 1969. The version which appeared on Let It Be, however, was from the group's famous rooftop performance on 30 January. Dig A Pony contained mostly nonsense lyrics, which Lennon dismissed in 1980 as "another piece of garbage". However, some tantalising references can be found, including to The Beatles' one-time name Johnny and the Moondogs ("I pick a moondog") and Mick Jagger (I roll a stoney/Well you can imitate everyone you know"). However, like so many of Lennon's songs of the period, the dominant influence is Yoko Ono. Dig A Pony was originally titled All I Want Is You, words which appear in the chorus and which constitute the song's only direct, meaningful sentiment. I was just having fun with words. It was literally a nonsense song. You just take words and you stick them together, and you see if they have any meaning. Some of them do and some of them don't. The Beatles first performed Dig A Pony at Twickenham Film Studios in January 1969, during a series of rehearsals which were filmed for the Let It Be movie. By the time sessions started at the group's own studio at Apple later in the month, they were familiar with the song and enjoyed playing it. They recorded it a number of times on 22 January, one of which was later released on Anthology 3. The Beatles returned to the song two days later, recording a number of attempts – one of which was later chosen for the unreleased Get Back album. A session on 28 January kicked off with another attempt at Dig A Pony. The Beatles recorded the song a number of times, as well as discussing how best to perform it. On the rooftop a production runner on the film, Kevin Harrington, knelt and held a clipboard in front of Lennon with the lyrics on it. The performance ended with Lennon saying "Thank you brothers. Hands getting too cold to play the chords". The 22 January version on Anthology 3 preserves the "All I want is..." opening and closing lines. These lines were a part of Dig A Pony throughout the various recording sessions. On 23 March, however, Phil Spector edited them out while mixing the song for Let It Be. Yes you can indicate everything you see”. Wow – I never noticed that the line might be a Dylan reference. Thanks for that. Never one of my favorites, but it has grown on me over the years. I particularly appreciate all of the word play and sly references. We used this as our wedding song. Married five years today. The date does not go unnoticed my friend! John’s most new significant song for the Get Back sessions was Don’t Let Me Down. 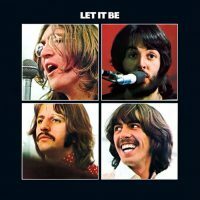 I was very disappointed to discover that Don’t Let Me Down was not on the Let It Be album when it came out. I had been expecting it to be on since I owned the Kum Back bootleg which also included Teddy Boy as well. I guess they wanted to build up the Beatles Again (or Hey Jude) album with the inclusion of Don’t Let Me Down. I was upset about that too, so I got the bare version of Let It Be (with the mixing and not from their rooftop concert or recording seesions) and is just a regular, non-concept album. You may know it as Let It Be Naked. Don’t Let Me Down wasn’t put on the album for some kind of recording thing. More people bought singles than albums because they were singles because they were cheaper. They would make more money in the long run this way. Don’t Let Me Down was released as a single. By the late sixties things had changed concerning public consumption of albums and singles. Rock albums had obtained a huge share of the music marketplace at a time when there was usually only one single per LP. Therefore,in the record stores, an album had a longer shelf life than singles. It was more econmically feasible to purchase an album. Artists didn’t need a hit single to have a decent sized hit album. Hence the emergence of cult groups. In North America, FM radio became popular with massive airplay for albums in contrast to the AM concentration on singles. Also at the same time, individual sound components with improved sound became availabe to more consumers. Don’t Let Me Down was previously released on the Hey Jude album but at the time I STILL EXPECTED that song to be on LIB. Obviously LIB would have been a much better album with the inclusion of Don’t Let Me Down. Since I owned a copy of the bootleg Kum Back since 1970-1971, I had some idea of what something like LIBN (no Spector) would sound like. Yeah, “Don’t Let Me Down” is possibly the most underrated Beatles song and it would have made Let It Be a much better album had it been included. I’d suggest that Don’t Let Me Down was not included on the LIB album, primarily, because it had been released as a B-side. Remember that Klein’s rather poorly conceived Beatles Again was, originally, not released in the UK. Poorly conceived is right but LIB does contains one B-side—For You Blue. So why not two B-sides on LIB? Except of course to increase sales for Beatles Again. For You Blue was not a B-side (to The LOng And Winding Road) until after the Let It Be album was released and even then, it was only a US single and so the single was not considered part of the official UK Beatles canon. The Beatles usually kept their singles and albums separate because they felt that using an already released song again was ripping the fans off. Not including hits on an album was rare in the USA, which is why Capitol often changed the albums’ track lists and even the album names without the Beatles prior knowledge. This particular single may only be a US single but it was still a single in the biggest record market in the world. The Beatles usually issued singles and albums separate because their record contract stipulated it so. Capitol often changed or altered albums’ track list because they had the power to do so despite any other intentions or considerations by the Beatles. Was the changing of the name happenning on one of their early albums? There is a With The Beatles, but I have definatly heard of a Meet The Beatles album. What’s up with this? Meet The Beatles was a US album released by Capitol a couple of months after With The Beatles. It had some songs from Please Please Me, With The Beatles, and the single I Want To Hold Your Hand (which was non-album in the UK). It had similar artwork to With The Beatles – the b&w half-shadow photo by Robert Freeman. There was a blue tint on the photo in the American release. First album I ever owned. I had no idea at the time that it was anything less than the first Beatles album. In fact, I never heard about the UK albums being any different until a few years later when I bought a cutout of a Stones album at Woolworth’s. Remember Woolworth’s? Albums for $1.88! I think it was “December’s Children.” The thin, shiny cardstock that the jacket was made of was the first clue. Then, the song list didn’t match my friend’s copy. I just came upon this site and forum while looking for something else. It’s really nice! Thanks to whoever got it here. I’ll be visiting often, I’m sure. Look at the track listing. It is “For” not fer, Jethro. You’re thinking of Yer Blues. Matt has it right. The UK releases constitute the cannon as they represent the Beatles own intent for track selection, sequencing etc. It sounds more like Ringo is sniffing than blowing his nose during the false start. Would make sense, given how cold it was on the rooftop. I’ve also heard that the false start was because he was only holding one drumstick, the other hand being occupied with a cigarette. The latter is correct. In the Let It Be film he can clearly be seen smoking a cigarette, leaving him unable to play. I really enjoy this song. It’s nonsense, but part of my attraction to Lennon is his absurdism. What I enjoy most about the song is the sentiment I take away from it – as well as “Don’t Let Me Down”: His unconditional love for Yoko Ono, which made permeated every aspect of his being. i love this song. the way i take it is that it is gives one a wonderful permission to be free with one’s mind emotions and attitude. it’s saying, it’s ok – go for it baby! radiate, penetrate, indicate, syndicate, imitate, celebrate. i love it! i don’t know what lennon meant, but that’s the way it have taken it. i personally think it was a great move to get rid of the “all i want is you” lines. they seemed to me to be clunky and sort of forced into or pasted on to the rest of the song. removing them really cleaned the song up, to my way of thinking. as far as lennon saying it was a piece of crap, i have learned to ignore it when i read that he said stuff like that. i am guessing he was sensitive to criticism, and that was his defense. for pete’s sake it was brilliant. it was part of what i consider lennon’s sort of transcendent phase, with Across the Universe, Because, and other works created toward the end of the beatles. Agreed wonderful permission. Its my favorite, I sing it at karaoke often, along with dig a pony, that rooftop concert was the best. I agree. I think the “All I want is…” line is a bit too clever clever, and sounds like it was tagged on later. It’s not honest, and Lennon was rarely contrived or dishonest in his writing. That’s one of the best things Spector did when he mixed LIB, IMO. I always thought the sniffing was Lennon making the joke of I dig a pony – which is I like a little horse – or I like a little heroin – which he sniffed. I could be wrong. That’s what I get out of the song, given the nonsensical lyrics. If every song Cobain ever wrote about nothing was because he was messed up on heroin, why is John Lennon above such a straight-forward assertion? Which version of the song was released on Let It Be… Naked? This is my favorite Beatles song. The lyrics are incidental (but clever) because the music and harmony is all that matters. The driving guitar riffs and harmonies make me nostalgic for the lost greatness. Their performance on the rooftop is tight and powerful. It is a fitting legacy for the greatest rock group…ever. This is also my favorite Beatles song. The rooftop recording, the palpable energy, John and Paul’s partnership right there, one last time for the crowd. They knew they might never be on stage together again and you can FEEL it in this recording. Not to mention George’s beautiful, mature guitar work and Ringo’s track stopping intro. This song represents everything I love so much about The Beatles. Their camaraderie and their extraordinary ability to perform together as musicians in a way no one else could. What a track. 100% agree. it’s musically intricate. How many bands could/would create a song so tight melodic and intricate, and consider it almost a throwaway song, an afterthought song. i see no evidence that any band or artist has the melodic skill and musical sense to be able to pull off a song like this. If they did, it would be their tour de force. that’s why the beatles are chugging away 40+ years later. A vastly underated song. The weird lyric matches the off beat music perfectly. This song could fit on Captain Beefheart albums like Clear Spot and Spotlight Kid. The one problem with that would be John (and Paul’s) impeccable vocals in contrast to the Captain. Hmm, not sure I really hear too much Beefheart in it myself (maybe lyrically?) but it sure is interesting to think about! I’ll have to pay extra attention next time I give it a listen. What did XTC do…who are they…what part of,the world did they influence? I get it, you really like this band. But, please, don’t delude yourself that any people could change the world in all the various ways in which The Beatles have changed the world. I was 13/14 when I first heard ‘I Want To Hold Your Hand’. The song is as fresh and fun as it was in 1964. They are as classic to rock as Mozart is to, well, classical music. Thank you for reminding me of why I’ve loved The Beatles for almost 50 years. Not that I need reminding, but I have truly enjoyed, and am so appreciative of, your intelligent and thoughtful comments. All of my friends love The Beatles, but we don’t often engage in in-depth conversations about lyrics and melodies. Your comments re this being ‘almost a throwaway song…an afterthought’ and following that up with ‘that’s why The Beatles are chugging away after 40+ years…..’. In my family, we refer to The Beatles as MY Beatles. This website, The Beatles Bible, tells us that they are ‘OUR’ Beatles…they belong to our world. Thanks for reading. And thanks to The Beatles Bible for keeping our boys alive. One of those ‘odd’ Beatles song that I really like. I think it’s something about the chord progression that accompanies the title lyrics. Oddly reminiscent of Cry Baby Cry and The Continuing Story of Bungalow Bill, at least to me anyhow. What band could pull off playing bluesy hard rock in waltz time and be brilliant doing it live? Just more proof the worlds best studio magicians were the world’s best live band as well. I love the tone John was getting on his Epiphone, his hammered-on chords and ocassional arpeggios, George’s melodic triads, and the incomparable harmonies between Paul and John. IMHO, the synergy between those two voices, across the spectrum of Beatle repertiore, is the greatest single asset in rock history. It always bothered me that Phil Spector didn’t include Billy’s electric piano part. So when I bought NAKED, it was like YESSS!!!!! Listen to it closely, it’s a really neat part. Billy plays some “galloping” phrases during the main riff (a-la a PONY); but during the verse, he very tastefully blends in with John’s rhythm guitar. This creates a great, warm “chorused” sound. Why Spector left this out I can’t imagine…. Problem with a lot of the piano parts on that album is that the Fender Rhodes was out of tune. This is very typical, and they need to constantly be re-tuned. I had one and it went out of tune every night. I got very good at tuning it. I owned one too, for years, but mine stayed in tune well. It may be that the guys didn’t tune their guitars to the Rhodes, as they were used to tuning to each other and weren’t accustomed to having a kybrd player playing live with them—they may’ve not thought about it and George Martin wasn’t there to catch it! It just sounds to me like Billy’s piano is not always in tune with the guitars. This song is one highlight of many from the rooftop. I love when Macca’s falsetto gives out on him( probably due to smoking & phlegm from the cold) on “Because”…at the end of the 2nd chorus, and he just goes ” Oooh—Ahh”, and it fits the moment perfectly. Another reason why he was a great adlib singer. I haven’t read all the comments so not sure if it’s been mentioned, but does anyone else hear the influence on this from Cocker’s With a Little Help From My Friends? Funny, Cocker covered the Beatles adding his own treatment to the song, and then some melodic ideas made there way back again to them. Yeah, the thing I don’t like about this song is that is does sound like a Cocker song to me. Even John sounds like he’s imitating Cocker a bit. If I can put that out of my head while listening to it, I really like it. But I never liked Cocker so I don’t like thinking this sounds so much like his stuff. This song also sounds like it was written in an opiate haze to me. I’m OK with that, I’m not being judgmental here. But I always felt it had that weird, druggy, about-to-nod-off quality like music written by other musicians who wrote under the influence of heroin. I thought that even before I knew John had used heroin during this period. John plays rhythm guitar , not lead, which is clearly George. Although John doubles the intro with Paul’s bass and George’s lead. A popular term for heroin in the mid-sixties was “Horse”… thus the term to “Ride a painted pony” as in the popular Blood Sweat and Tears song. The verse “You can celebrate anything you want” can be linked to Lennon’s use of the drug. I think that is is one of the weaker songs on the album. It sounds a little desperate..but honest. It is hard to identify with the cryptic words. Billy Shears, thanks for explaining the lyric “ride a painted pony.” I didn’t know that. Now I’m wondering whether the rather innocent-sounding song by the Hollies “On A Carousel” is REALLY about a never-ending drug-fueled nightmare! When compared to the many great songs on Let It Be, “I Dig A Pony” does come up a little short. But I still like it. I wonder if John cared so litle about the Beatles at this point, that he wasn’t even trying to bring his “A-game” material to the party? Hello, I’ve read about every article on this website, and I absolutely love the website. This song always carried a special liking in my heart, it’s just so odd, with a nearly random chord progression: beautiful chaos. They lyrics are almost poetic in their own right, no matter how incoherent they seem to be! On a note of interest, as we watch the song progress on their live performance, during the lines in which Lennon sings, “Where you can penetrate any place you go…” George ducks below John and leans back, and John leans back as well, as they play hand in hand together, rhythm and lead, and then George goes back to his mic smiling. I love seeing that part because it really showed how much they loved playing with each other, not matter how pissed off they got at each other. Great song with great phrasing, and when playing it live John just absolutely screams the main lines “All I want is you!” with pure raw emotion. It’s very magical in its own sense. Anyways, I love the website very much, and I think you’re absolutely brilliant, Joe! First of all, sorry for my poor english!! The Beatles’ rooftop concert took place on january 30th, 1969 (http://en.wikipedia.org/wiki/The_Beatles'_rooftop_concert). Joe Cocker’s album (where With a little help from my friends was presented) was released on April, 23rd 1969 (http://en.wikipedia.org/wiki/With_a_Little_Help_from_My_Friends_(Joe_Cocker_album). Maybe the Cocker’s version was composed before the rooftop concert, I dont know, but the official dates are clear. For me, Cocker used the same structure of Dig a Pony to compose an unforgettable version of With a little help from my friends. With thanks to Beatles rarities………George’s laughing and kneeling in front of guitar god John was because of John’s ‘Road hog’ reference. It’s a ‘Did you really sing that John?’ moment ……….’Road Hog’ being a groupie who accompanies the band on the tour bus. I have always loved this song.John Lennon considered this a throwaway of his. I have always this song just so enjoyable to listen to. It used to be on the radio a lot and then when I first got the “Let It Be” album. I love the ” all I want is you ” line, John’s vocals and George’s lead guitar work. John must have been reminiscing about his youth while stringing words together for this song, with references to the Moondogs and riding a lorrie. I’m not from England but isn’t a lorrie a flatbed truck like the one he and the Quarrymen used to get to a show…pre-Paul? Let’s not over complicate Lennon’s word salads. The essence of any song is its title. Dig a Pony = Enjoy the high of Heroin. Joe Cocker’s album was released in May 1969, but it was recorded in early 1968. The single of Joe Cocker’s version of “With a Little Help from My Friends” was released in the UK in October 1968 which was about three months before Dig a Pony was recorded. The Beatles had definitely heard Joe’s version of the song by the time Dig a Pony was recorded. Lennon is clearly reclaiming with a little help back from cocker whose iconic rearrangement of the song may be the most successful Beatles cover ever.. one of the few which Is often compared favorably to the original. Lennon’s? ego would never have tolerated people saying that the Beatles version was 2nd best of a song … so cleverly he took it back. he takes the organ glissando of cockers rearrangement and makes it a wicked riff that he and Harrison play in unison and takes cockers bluesy rewrite of the chorus as the main chorus of the song. after all he couldn’t be sued as he was the writer of the song and it’s rearrangement couldn’t be copyrighted! the first time I heard this song,,,,it just got me..it done me good…A brilliant , interesting awesome display of lyric and lick…melded and welded by that witty , tough ,fragile, and funny fearless Johnny….He shines on and on and on…. Lyrically not being a grand statement, and somewhat sloppily performed, the song is under respected. That said, most of Let it be is like that and it would be a much lesser album without “I dig a pony”.. Always thought Lennon would not make it obviously about heroin (pony) especially after the LSD claims on Lucy. I also doubt his complete nonsense claims. I think whole thing is about sexual preference in women. A song just about “all I want” and how it “has to be just like you want it to” in a sexual manner. Not the highest of endeavors for a song but maybe why John dismissed it later. I love it in any case. What a communicative energy with this song. John’s voice is powerful. The falsetto singing of Paul is amazing. George plays a guitar so bright. Ringo’s toms sound wonderful.